Export SimplePay Data to VersAccounts. Log In to your VersAccount, go to "Admin Screen". Under Enterprise Setup Menu, Click the "Client Applications". You will see SimplePay as published applications by VersAccounts. Click Enable button to generate Licence No. SimplePay will be enabled and Licence No. will be generated. Load Account Settings Page from top right link. Paste the Liscense No. here and press Save button. Accounts created at VersAccounts will be available now in SimplePay Accounts Settings page. 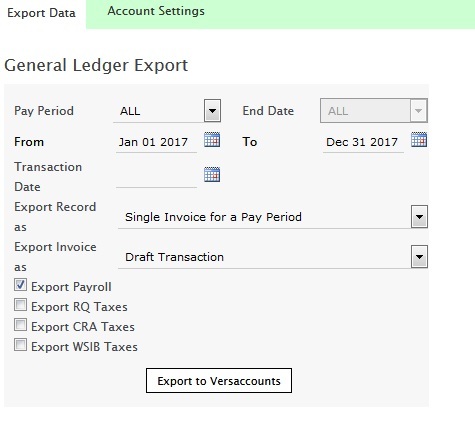 You can export SimplePay data to VersAccounts by selecting pay period type and pay period end date/ date range. SimplePay will send VersAccounts any transactions you've done. 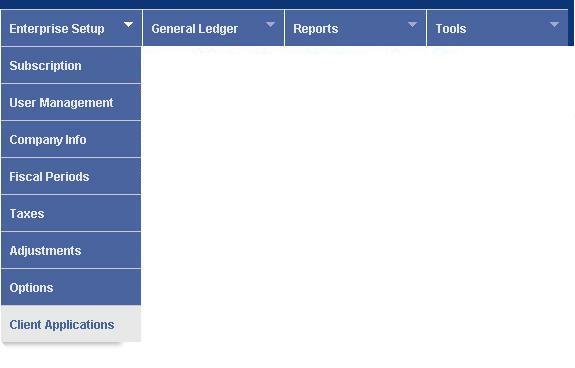 General Ledger -> New G/L Entry -> Draft Transactions and you will see all Draft Transactions. click on Edit link to view detailed transactions.